Supplies of some popular cars are lean. 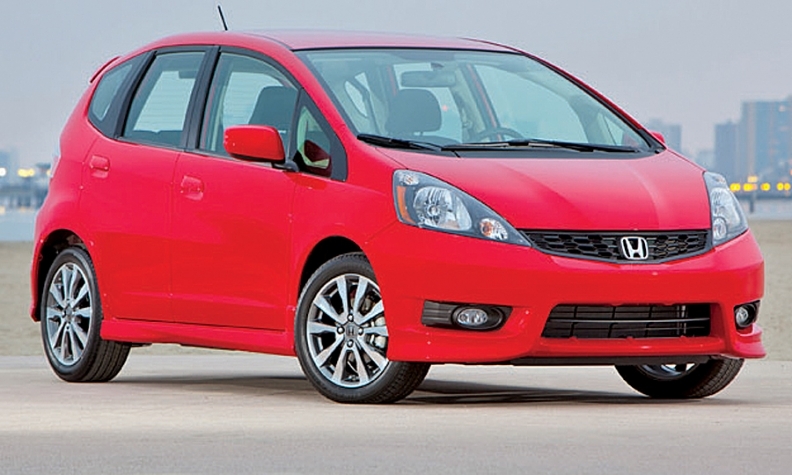 The Honda Fit is at 34 days. Stocks of unsold light vehicles thinned out in May, falling from a 55-day supply on May 1 to 52 days on June 1. Light trucks fell from 67 days on May 1 to a 61-day supply on June 1, even though General Motors and Chrysler Group built extra 2012 full-sized pickups to carry them through model changeovers. Car stocks fell to a 43-day supply, the lowest level since September 2011, on strong overall vehicle sales and demand for fuel efficiency. Many automakers had spot shortages of popular cars, such as Ford's 32-day supply of the Ford Focus and Honda's 34-day supply of the Honda Fit. Others were simply short of any car. Hyundai-Kia Automotive started June with a 23-day supply of all cars. The Toyota and Scion brands have just a 25-day supply of cars combined. On June 1, no major manufacturer had more than a 60-day supply of cars, the industry's traditional optimum level for all vehicles. Overall, among major automakers, GM had the biggest supply at 74 days, down from 79 on May 1. Hyundai-Kia was the lowest ma- jor automaker at 27 days, up from 25.